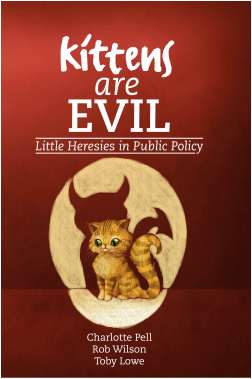 kittens are evil. It’s heresy. and the Troubled Families initiative. This book argues that best efforts and poor excuses aren’t good enough. same coherent philosophy; a philosophy that has – or had – a name. of scale, inspection and payment by results. service-shaped. Wouldn’t that make the government’s job easier? and it is the same in the public sector that has internalised its thinking. believe in something different, to create a new orthodoxy.